The search for apartments in Germany will be at, or very near to, the top of every new arrival's “to do” list. Unless you have the luxury of being able to arrange this ahead of your move, or unless you have the services of a relocation agent at your disposal, it's best to come prepared with some background knowledge of how the market works and what to look out for. The type of website or service you use to find somewhere to live will very much depend on your circumstances, the amount of time you plan to spend in Germany, your income level and the city / region you plan to relocate to. So, before we get into tips, tricks and advice for finding an apartment in Germany, first let's run through the different options available in the housing market here. These are listed from most to least expensive. Typically a serviced apartment will be the best option for someone looking for apartments in Germany who intends to stay for a relatively short period of time, especially if cost is not the primary concern. If you are being seconded to Germany for a few months and your employer is covering your living expenses, this is a much better option than being stuck in a hotel. Nationwide, Homelike is one company which seems to cover the whole country and specialises in offering furnished apartments for short-term business travellers and temporary accommodation. Somewhat cheaper but not as hassle-free as a serviced apartment, next on the list is a furnished apartment provided as a short-term let. As opposed to concierge apartments, these are typically flats which are rented from a private landlord, sometimes with the help of an estate agent or relocation service which takes a commission (which the landlord is liable for – see note below on commissions). Typically a furnished apartment will have beds, wardrobes, white goods, a fitted kitchen and a sofa. It won’t usually have those items which come in a serviced apartment such as towels, pots & pans, TV / DVD player etc. These will be more expensive than a standard apartment but would normally have a janitorial service (Hausmeister) on call without having to go through the landlord to get small maintenance jobs done. Home Company operates nationwide offering furnished apartments and short-term lets. Whereas Nestpick is essentially a search engine which aggregates offers from partners elsewhere on the internet into one convenient place. Many other operators abound at city and regional level. Google is your friend. If you're on a tighter budget (the above solutions are more geared towards business executives and those on higher incomes who just need somewhere to stay in the short-term while figuring out their next move), then short-term subletting is probably your best bet while you're finding your feet and deciding on a more permanent base. Finding a sublet as your first housing option in Germany is often a great idea, as long as you take the necessary precautions. Finding an apartment proper and signing a contract in your own name can be pretty tough in cities where demand for housing is high. Why? Because you have no credit history in Germany or references from previous German landlords. Therefore if a landlord can take his pick of several potential tenants then sadly, you're unlikely to be top of the list. The main difference between subletting and the above options, other than cost of course, is that you would pay rent to the current tenant in most cases and you would have to deal with any maintenance issues yourself through their landlord. You should expect to save some money by transacting directly with the person who is subletting the apartment, rather than having to go through an agency. At the end of the day, if a landlord has to pay an agent, then most likely you will pay for that indirectly through a higher monthly rent. Because subletting is usually a win-win situation, there may be some negotiation potential here. Sublets typically occur when someone leaves a property for a temporary reason (taking a sabbatical from work, travelling the world, moving with their partner on a trial basis etc), but they still want to hang onto their old appartment as a back-up plan should they wish to return.Therefore, if a tenant is looking to sublet for a relatively short period, the opportunity cost of him/her not being able to find somebody to sublet to is that they have an empty apartment for a certain period of time that they will have to foot the bill for whilst they are away. It's therefore worthwhile trying to negotiate them down a bit, unless there are several people interested and the apartment / room is in a very popular and sought-after area. The golden rule here is to ensure that the person subletting has permission from their landlord to sublet. There are countless tales of woe on Facebook groups and expat forums about people being ripped off by landlords or tenants whom they are subletting from. Approach this from an automatic sense of caution rather than an automatic sense of trust. Maybe this sounds harsh, but if you're subletting cash in hand, no questions asked, then in the eyes of the law, you have no rights. If necessary, ask the person you are considering subletting from for a copy of their rental agreement. Check this with a friend, colleague or lawyer. Ask for a letter or email from their landlord proving that he/she has consented to them subletting. If their contract does not permit them to sublet, in the worst case, you could find yourself evicted by the landlord, having already paid out your rent money up front to the person who has (illegally) sublet the apartment or room to you. Sublets are usually found in Facebook groups, expat forums, co-working spaces. what’s-on magazines and their websites and, especially in university towns, on notice boards in popular bars and cafes. Finding a sublet before moving to Germany will probably be difficult unless you already have some contacts or can speak pretty good German. Standard, unfurnished apartments are the most common form of rented accommodation here in Germany. The problem which most newbie expats face is that unfurnished really does mean unfurnished. That means no light fittings, no curtains, no white goods, no fitted wardrobes and the killer which you may already have heard…often no KITCHEN! There are others but most of them are powered by the search algorithms of those listed above. Indeed, Immowelt is also the parent of Immonet. These sites all have detailed search functions and primarily cover the market for “standard” apartments i.e. those which typically are unfurnished and are not shared accommodation or short-term lets. On all of these sites, in almost all cases you will see a price for “Kaltmiete” and “Warmmiete”. Miete is the German word for rent. Kalt (cold) is the price of the apartment without any bills or service charges (which are known as Nebenkosten). Warm is the total cost including everything covered by the apartment building's service charge. On top of this, you will still need to factor in electricity, phone, internet and cable TV. You as the tenant have the choice regarding the provider. Top-floor attic apartments are usually a little cheaper: They can be hot as hell in summer and are also less attractive if there's no lift in the building. Ground floor apartments are also cheaper, due to them being easier to break into and in general having less privacy. If you’re cool with either of these options, it will expand your choice because many Germans will automatically exclude these from their search. In large cities, buildings with allotted parking or an underground garage are very sought after. New builds, as well as flats with large balconies and bathrooms with windows, also usually command a premium. A shared house or flat is called a Wohngemeinschaft, or WG for short. Your best best for finding shared accommodation is the website WG Gesucht which has a search function in English. Typically you will have communal use of the kitchen, bathroom and living room (if there is one…often in student flat-shares there is not). Electric, water, heating and other communal charges such as garbage collection, external maintenance etc are usually split evenly, whereas the rent itself is usually dependent upon the size of your room in relation to the others in the apartment. If you are studying, or are happy to live with students, you can also check out the studenten-wg or wohngemeinschaft websites, bulletin boards or the university’s own intranet. Most Germans with a university education will be able to speak enough English to converse with you by whatsapp or email if you enquire. Furthermore, because a lot of Germans are very aware of how essential English is in the corporate world, you being a native / fluent English speaker may well be seen as a positive characteristic of a prospective housemate! Flat-sharing is less common in rural areas and small towns. Whilst popular in large cities and among students, it is not common nationwide. The most obvious reason for this is the demand vs. supply equation and thus affordability. There are lots of good quality, affordable studio and 1 bedroom flats available for long-term rent, unlike in the UK. Secondly, young Germans will typically opt to live with their parents for longer until they can afford to rent a place on their own rather than flat-sharing. It’s a subtle cultural difference which manifests itself in there being more one-person households in Germany among the younger generation than other comparable nations. Serviced apartments and short-term lets will almost always show the monthly rent including all service charges. The same can generally be said for renting a room in a shared flat or house and for subletting from an in-situ tenant. As explained above, this is known as Warmmiete. In most cases, standard apartment rentals will be shown as the basic rent (Kaltmiete), with an estimate of what the service charges will be. This, however, depends upon how much water and heating you consume and is usually based on the previous calendar year. A family of 4 will obviously use more utilities than a single person, so it's worth enquiring who the previous tenants were to gauge how accurate this is! For a more detailed review on service charges, we have put together a separate blog post to explain the annual service charges statement, known in German as either the Betriebskostenabrechnung or Nebenkostenabrechnung. If you prefer, you can grab this as a convenient, PDF download below! A quick note on commissions. Previously, there was an INSANE system, whereby the prospective tenant had to pay the agent’s commission, which was typically 2 months' rent. Non-Germans just could not get their head around this concept. A letting agent, clearly acting in the interests of the landlord he was commissioned by, billed the tenant for a successful conclusion of the rental agreement. This was also one of the biggest tax fiddles in Germany. As these commissions were usually requested in cash, it doesn’t take a genius to assume that lots of these transactions would simply be “forgotten” by the agent when they submitted their annual tax return. Not really any surprise that real estate agents had a pretty bad reputation and were seen as parasites because of the huge commissions they earned for doing relatively little, especially in areas where apartments pretty much rent themselves due to location and supply shortages. This all changed with a new law which came into force on 1 June 2015 and is colloquially known in German as the “Bestellerprinzip”, roughly translated as “contractor principle”. The landlord now has to pay any letting agent’s commission, which brings Germany in line with pretty much every other developed nation. Whilst this means that up-front costs have reduced for the tenant, one must also draw the conclusion that the landlord will, where possible, try to amortise the cost of this service into the rent he/she is charging. Technically speaking, he/she can’t legally do this but in reality, how else are they going to recover this cost and how can you prove a landlord has factored this into the rent being charged? A byproduct of this change in the law is that agents are now less flexible with arranging specific appointments at the tennant's convenience, and may now push for more group viewings instead. Now that the prospective tenant is no longer seen as being the agent's customer, insofar as he is not paying the agent's commission, the real estate agent is in most cases just going to do whatever makes their life easiest. If any landlord tries to get you to pay a finder fee or is openly amortising this fee into the monthly rent, they are scammers and you should avoid them like the plague. NOTE: For buying apartments and houses, it is still the norm that the Buyer pays the estate agent’s commission. For those of you considering purchasing somewhere, we've already covered in another article the basics of mortgages in Germany. So, now that we've gone through the different types of accommodation and types of rentals available, together with the pros and cons of each of these, let's look in a bit more detail at some useful tips and common cultural nuances which are handy to know. These will help you in your planning and put you a step ahead of your fellow house-hunters when looking at different types of apartments in Germany to find somewhere which fits your needs at the lowest possible total cost. 1. Compromise!! Location OR Apartment Size: Choose ONE! How many times have you watched property shows on TV and the clients being shown around are not willing to compromise on either the location or the specification of house / apartment? People want to have their cake and eat it. The reality, especially in larger cities in Germany where the housing market at the moment is brutal, is simply that you can't have both. You snooze, you lose. Especially in trendy areas of Berlin, Frankfurt, Munich and Hamburg, but also in some other major cities and popular university towns. Be sensible and don’t have a wish-list is as long as the queues in Ikea on a Saturday. Before you start viewing apartments, get this one thing clear in your head. You will have to compromise if you're looking in popular cities and neighbourhoods. Is location most important? Or would you compromise and live somewhere a little further out, or a little less hip, if it meant you could find a larger or better-maintained apartment? Get a piece of paper, and fold it in two. (Or open up Evernote or whatever App you use on your phone to make notes if you prefer!). On the one side, write down all of the things that you are not willing to compromise on (the “MUST HAVES”). On the other side, write down all the things which you would like but are not absolute deal-breakers (the “NICE-TO-HAVES”). This is a simple but very effective trick which buyers and salespeople use in business when preparing for commercial negotiations. Take this and apply it to your apartment search. Having a strategy and knowing your red lines makes being decisive when pushed into a corner that much easier. 2. Get The Lowdown on Housing Ad Abbreviations & Acronyms! 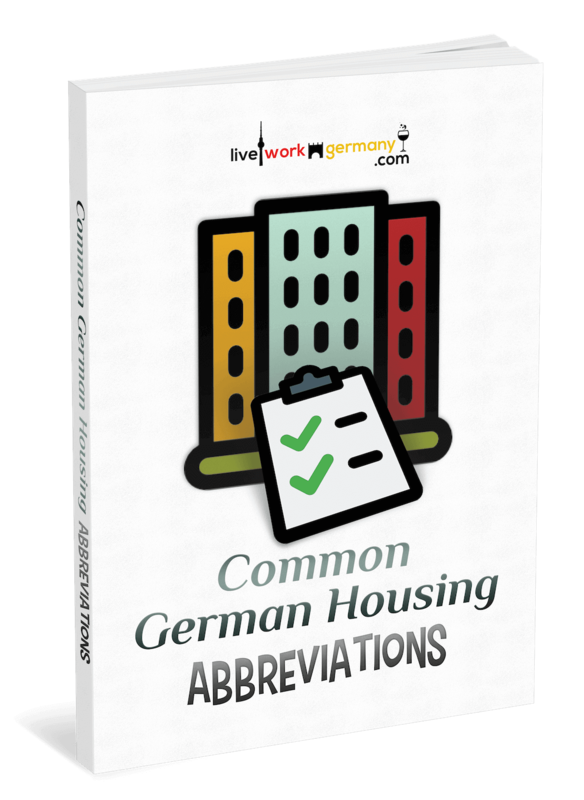 For a summary of all the most common abbreviations you may come across when looking for apartments in Germany, get our FREE PDF DOWNLOAD. People tend to live in apartments in most parts of Germany, especially in towns and cities. Houses are only really common in villages and on the outskirts of smaller towns. If you want a house in a city, this comes at a big premium because of scarcity. If you really want to live in a house, ask yourself why? Is it because of the space? Because flats in Germany come in all shapes and sizes and often have an open-plan format and several bedrooms. Do you want a garden? Because some apartments on the ground floor can offer exclusive outside space for you, with nobody else in the block having access. Or do you just not want to have neighbours above, below or on each side of you? Well, a villa or house converted into 3 or 4 apartment units is also relatively easy to find and if you take the ground or top floor, then you’ll only have 1 immediate neighbour. You will need to pay 2-3 months’ basic rent as a deposit. Ouch! Just when you’re in the middle of all the other expenses you have when relocating to another country. There are companies out there who will lend this money to tenants who don’t just happen to have a couple of thousand Euro sitting in the bank. However, if you’re new to the country with no credit history, I'm afraid looking for apartments in Germany will mean finding a deposit without the help of a loan. Budget for it because there’s no way of getting around this. It’s not completely unheard of to ask your employer for a loan and then pay it back through an automatic deduction from your payslip over the next few months. If you don’t ask, you don’t get, so what’s the harm in trying? There are laws covering the time after which the landlord must return this deposit when you move out, and what they are legally permitted to deduct for damages and wear. 5. Are you tidy enough for shared accommodation? If you are planning to live in shared accommodation during your time in Germany, a word of warning when it comes to cleaning and tidiness. I lived in a shared flat back when I spent a year in Germany as part of my studies. My experience, and believe me I’m not the only one, is that Germans definitely tend to be more disciplined when it comes to cleaning and housekeeping. 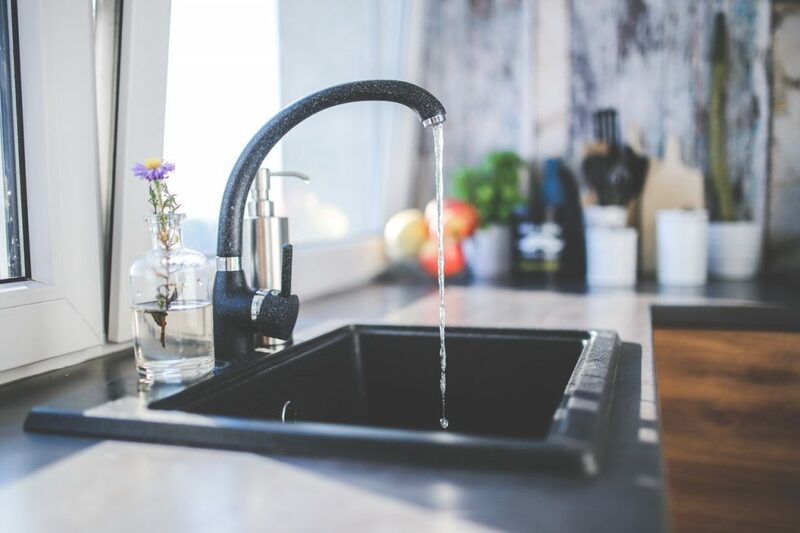 If you’re planning to live in a WG, the first questions you should ask your potential housemates should be about their ethos on cleaning and how they split the bills. Like most things in life, do your research up-front to avoid problems further down the line. Ground floor and attic apartments in Germany are generally less desirable. In fact, many Germans will exclude these completely from their search criteria. This is because the ground floor typically has less privacy, especially if the bedroom or living room window faces onto the street. Also, ground floor apartments are statistically more prone to burglary. The deal-breaker for attic apartments tends to be the lack of a lift (US: elevator) and the stifling humidity during summer nights. Because these apartments are also built into the eaves of the roof, if you're tall then you may find this a somewhat claustrophobic prospect. Bathrooms with ventilation are highly valued. Sounds obvious, right, but many German apartments have bathrooms in spaces without windows or daylight. Needless to say, a bathroom with a window is highly prized. The next best thing is one with extremely good ventilation, so as you don’t get issues with mold or damp. It’s one of the most common disputes between tenant and landlord and it's difficult to prove who has been negligent. Balconies and terraces are very highly prized in major cities. Allotted parking or underground garages are too. If these are high on your wish-list then you may need to consider compromising on location, especially in larger cities where there is a housing shortage. If compromise is a dirty word and it’s all about location, location, location, you'll need to do a diligent job of hunting down available apartments, and then be decisive during the viewing that you will take it and be willing to put down a reservation fee. One of the most baffling housing-related habits in Germany is that tenants find it quite normal to dismantle fully fitted kitchens and take them from their old apartment to the new one. Indeed, it is crazy on many fronts…how many bespoke kitchens would fit perfectly into a different kitchen layout in another flat? Answer – not that many. So, why do they do this? Firstly, when looking for an apartment in Germany, long-term rented accommodation is the norm, so naturally tenants do not want to live in a place for several years which has a crappy old kitchen which the landlord has not kept well-maintained. Secondly, Germans tend to love their high-tech, expensive electrical goods and thus are more choosy regarding what kitchen they install in their apartment. Don't despair though. Because kitchens may not be compatible from one apartment to the next, there is often the possibility to purchase the existing kitchen from the vacating tenant if they are not keen to take it with them to their new place. If the tenant has not yet moved out of the apartment you're viewing, ask the landlord (or the tenant if he/she is home when you're visiting!) if there is a deal to be done to leave the kitchen in-situ. If there is, then get your negotiating trousers on and haggle yourself a deal! So, don’t automatically disregard all apartments which don’t have fitted kitchens from your search. Yes, this is definitely an inconvenience factor if there's no kitchen but if the tenant has not yet moved out, there's every chance you can come to an arrangement for them to sell you their kitchen. When it comes to buying a new kitchen, a word of warning if you're not comfortable with fitting it yourself. German handymen are considerably more expensive than in the UK and the US, so it may possibly be more hassle and expense than it’s worth, especially if you're not planning to live in the apartment for several years. Staying on the subject of kitchens, they feel smaller than in British houses and apartments, and positively tiny compared to American homes. This is just something you’re going to have to get used to. Germans are not big cooks, at least singles and childless couples from my experience, despite them often having very expensive, fancy kitchen equipment! The reason for this, or at least my theory, is that lunch tends to be the main meal of the day in Germany and for anyone out at work, this would usually be taken in the work canteen or in a restaurant or cafe. The upside of a small kitchen usually means a bigger living room and bedrooms. It’s just how it is, so there’s no point complaining. Therefore a word of advice, if you like the first couple of apartments you view but consider the kitchen to be the deal-breaker, then you may find that you have turned down otherwise perfectly good options. Large kitchens just aren't really a thing here except for in purpose-built houses. Yes, I know, us Ausländer all think it's pure madness that German apartments often don't come with a kitchen already fitted. However, if you limit your apartment search to just those with the magical fitted kitchen, you're not only going to pay a premium in rent but will also seriously limit your options and possibly extend your search by weeks, or in some cases even months. A simple search on a website like ImmobilienScout will show that only around 10% of apartments come with an existing, fitted kitchen. Especially for smaller apartments, people often don't want the hassle of buying a kitchen for somewhere they only plan on living for a few years. Unsurprisingly, you will face more competition for those places. A new kitchen of adequate quality from popular chains such as Roller will cost around €1,500 for a small apartment (including a basic oven and fridge). Add on approx. €500 for fitting (the store will arrange this as part of the package). If you save yourself €50 a month in rent through not paying the landlord's premium he would be able to command for an apartment with a fitted kitchen, and if you live in the apartment for 3 years, then it makes economic sense. Most likely you will be able to sell on the kitchen to the incoming tenant when you move out for around €500 if it's in good, useable condition, so all in all, you've made €300. But far more importantly, you’ve been able to choose from a much wider selection of potential apartments, which is gold in hot markets where you need to use whatever tricks you can use to get ahead of others. Smaller blocks tend to have lower service charges but make sure you look carefully into what is actually covered by them. 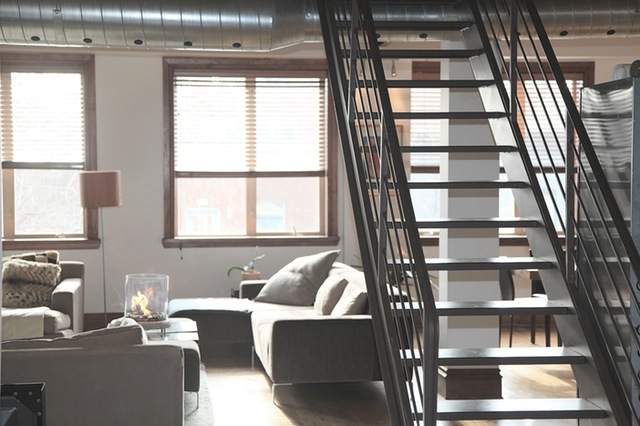 A block of 3 or 4 apartments will often rely on a roster to clean the communal areas such as the stairwell. It is relatively little work and they may want to save on costs through not hiring a janitor. Which is fine, except the last thing I would want to do on a Sunday morning after a night out is to clean the stairwell. Beware, however, that large blocks of flats in Germany typically have higher service charges. Larger blocks tend to require more frequent maintenance and often have things which smaller blocks would not have. For example, there will probably be parking spaces which require upkeep and gritting or snow removal in Winter. The gardens and communal areas will require a professional Hausmeister (janitor) to keep them looking tidy and well-kept.Larger buildings tend to inspire less of a sense of communal pride in keeping things clean and tidy. So a general rule is the larger the complex, the higher the service charge to pay maintainance contractors. Whilst this is not always true, you can use this as a rule of thumb. Is the apartment in a block which has a lift (elevator)? You may think this is great if the place you are looking at is on the 4th or 5th floor. But then if it’s a ground or 1st floor apartment, you will be paying monthly service charges for an asset that you will probably never use. Lifts and their required maintenance tend to be a biggie when you look at the Abrechnung (annual statement of account) of maintenance charges. It is definitely worthwhile to check who the other residents of the block are. Older neighbours may have a tendency to be pedantic busybodies who have some comment or other they always feel necessary to share. If you look on online forums such as Toytown Germany, a lot of complaints about neighbours tend to be of this kind! If you want to live somewhere quiet, Germans in general are very respectful of this. Certainly, obeying rules on noise is ingrained into their culture. Somewhere to perhaps avoid if peace and quiet are key would be blocks which have numerous large families and a kids' playground in the courtyard. On the flipside, if you want your kids to be able to run around freely and not have the neighbours complaining, then Latin and Middle Eastern cultures are certainly more tolerant of this. Look at the names on the buzzers outside the block to get a picture of who the residents are. Energy efficiency is something the Germans take very seriously, and it's not only because of environmental consciousness. They have the second-highest electricity prices in Europe and are likely to rise further as a result of the government's decision to decommission its nuclear power plants by 2022. Whilst older apartments with high ceilings can mean higher energy costs, new builds will save you money on heating in winter and will keep cooler in summer. The insulation in new-build apartments and those which have undergone major structural refurbishment is fantastic. However, whether the lower energy bills justify the higher rents the landlord may be charging is usually a case-by-case decision. For a single person who is often not home and is not heating every room, it's going to be less critical than for a family who are home every night and have the heating on in every room all through the winter. I mentioned it before, but Germans love their rules and regulations. Each (larger) apartment block in Germany will have a set of rules called the Hausordnung. Typically these will cover all manner of things such as “quiet times”, rules on keeping pets, storage of bulky items such as bikes and prams, barbecuing on balconies, communal areas where one can hang laundry and so on. Some apartment blocks may have an allotted laundry area with washing machines plumbed in to a communal area of the cellar. If this is the case, there may be restrictions around when you can use them i.e. not during the night or on Sundays. 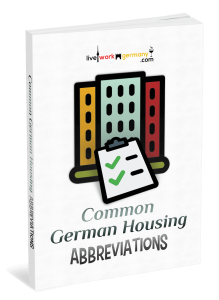 Ask for a copy of the Hausordnung before signing your tenancy agreement and, if possible, review this with a German speaker. That way you can determine whether any of these rules are too draconian or restrictive. 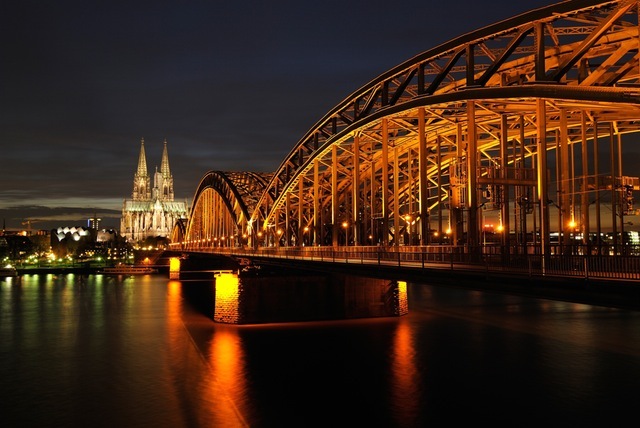 If you are moving to Germany to take up a job offer, then proof of this through an employment contract which states your salary will be invaluable to bring along to viewings, especially in cities with frothy rental markets and limited supply of housing stock. If you have references from previous landlords even better. Don't get too preoccupied about whether these are from landlords in your home country. If you can get them translated into German, it shows initiative and can only count in your favour, especially if there are several parties interested in the same apartment. Landlords are often quite risk-averse because in Germany the law makes it extremely difficult to evict a sitting tenant. The more evidence you can provide to convince a landlord you are an honest, upstanding, creditworthy person, the greater your chances are of beating your fellow flat hunters to the apartment you want! For those already resident in Germany, you can get your SCHUFA credit report online for €29.95. Being proactive will save your landlord time and money as well as making you a much more attractive tenant if you can show that you have a solid credit score. NOTE: You are also entitled to a more basic SCHUFA report for free according to the provisions of Article 15 of the EU GDPR law on data protection. However, SCHUFA have been a bit sneaky and make you jump through a few more hoops to get this. It is buried at the bottom of their website and it took me about 10 minutes to actually find it. For those wondering, it's here! They will also need a copy of your passport and Meldebescheinigung (proof or registration) attached as a PDF or similar file. 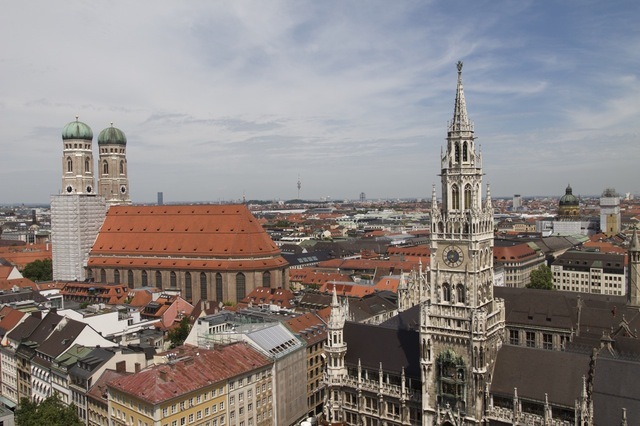 Every year, the German economics and investment magazine Capital publishes its annual report on the state of the German real estate market. While this is primarily aimed at investors and property buyers, it gives a valuable insight for renters too and is an interesting, relevant reference for expats in Germany or those about to relocate here, especially if your German is pretty good. 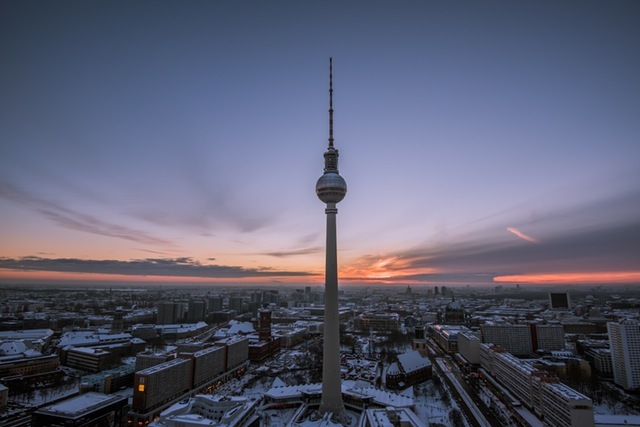 The research from Capital magazine into the state of the German real estate market looks into the trends in 30 German cities. Firstly, with the exception of a couple of outliers, the bull market in German real estate shows few signs of slowing down. Secondly, large cities are seeing rapid increases in population as the trend for city living continues, especially amongst millennials, which in turn is putting pressure on available housing stock and pushing up rents. Finally, the amount of building and renovation projects is not keeping up with the increases in city populations, especially in the cities and in the neighbourhoods which are experiencing the sharpest increases in population.